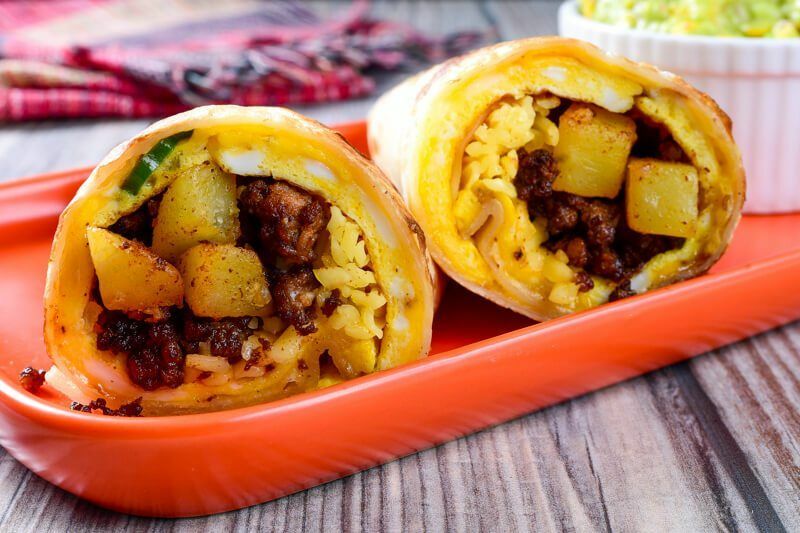 Here's the real star of this dish – Mexican chorizo! Typically done with pork, pork fat, and spices, the strong flavors from this raw sausage just makes it a wonderful addition to almost any main dish, side, or appetizer. 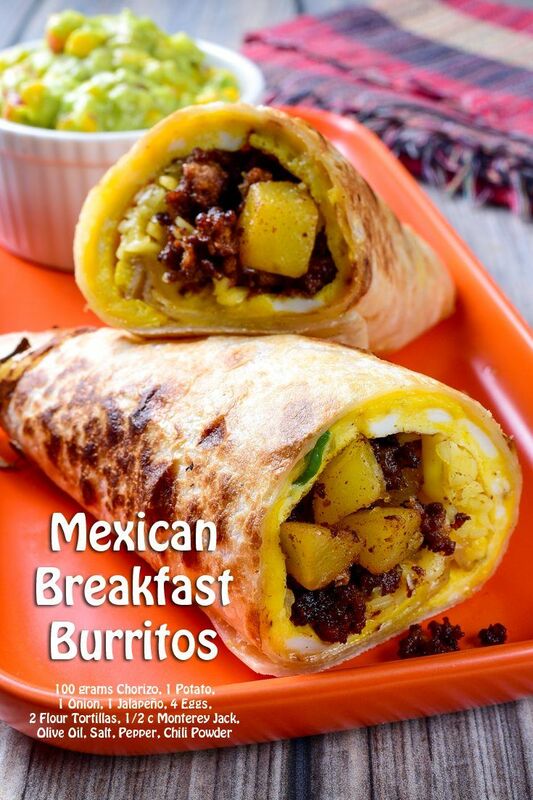 A little indeed goes a long way in terms of flavor, instantly making dishes such as baked potatoes, scrambled eggs, melted cheese, nachos, refried beans, pizzas, or cream soups a whole much more savory, almost instantly. Though widely available in most Latin American markets, don't let the unavailability of this Chorizo keep you from whipping up excellent recipes such as this one. This sausage is indeed easy to make at home. Just mix everything together in a bowl and use as needed in a recipe. This is a raw sausage, thus not having the need for any curing. Start by browning the chorizo in a pan. 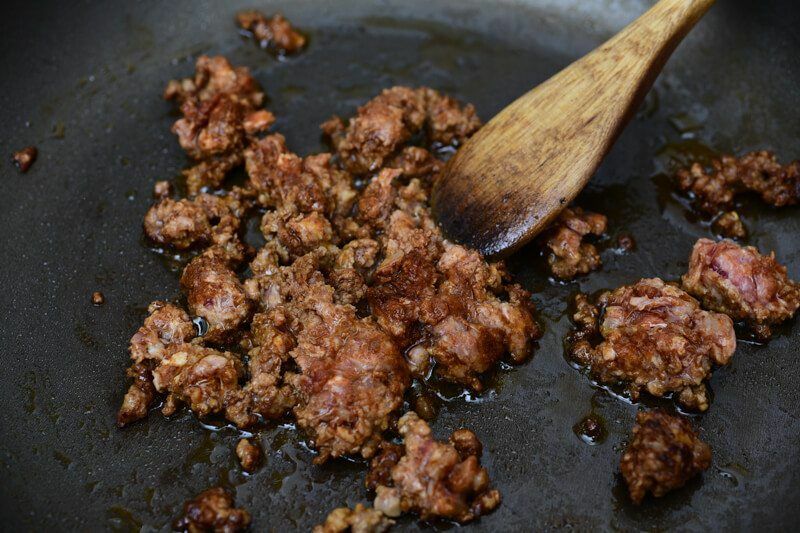 You should not need more than a tablespoon of olive oil to get this process started due to the natural fat present with the ground pork. 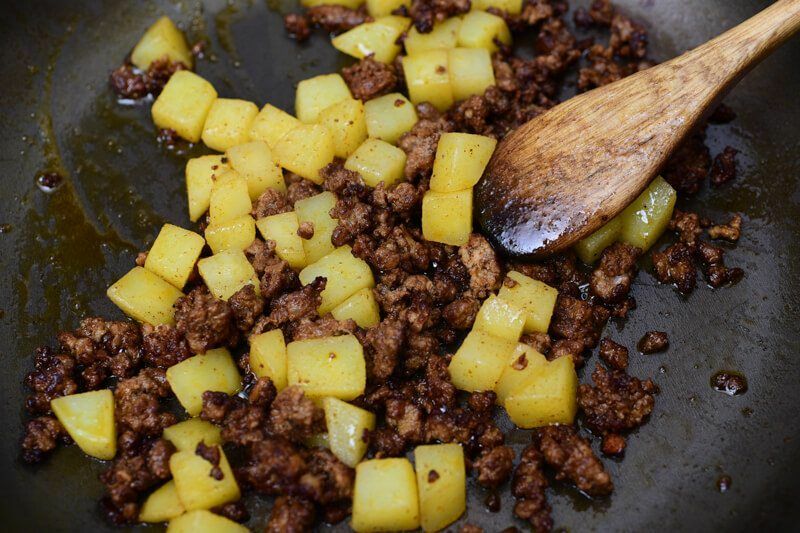 As soon as the pork is cooked enough, and all those spices very aromatic, toss in the pre-boiled potatoes in the pan. Give them a few minutes to develop a slightly ‘roasted', and more flavorful outer crust. Set the pork and potatoes aside, and begin working on the eggs in the same pan. This way, we'll be getting every last bit of flavor from that chorizo. 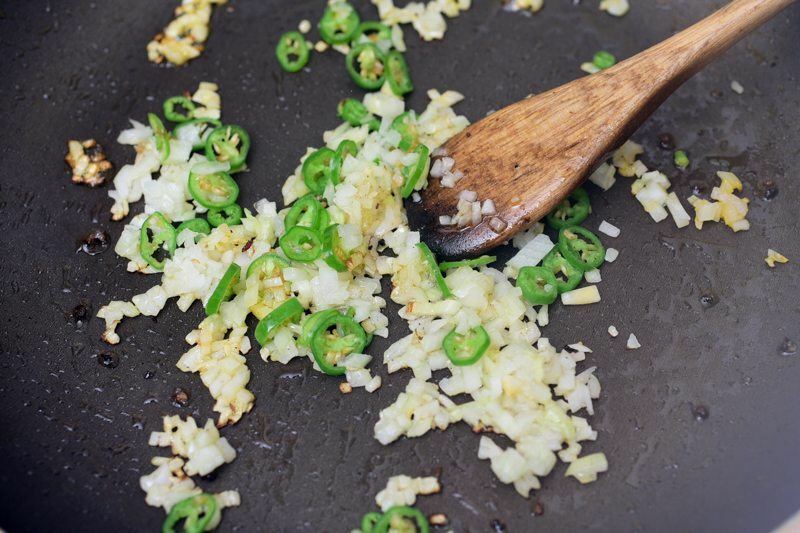 Start by sweating the onions and sliced jalapeños, stirring them constantly until those onions are slightly translucent. 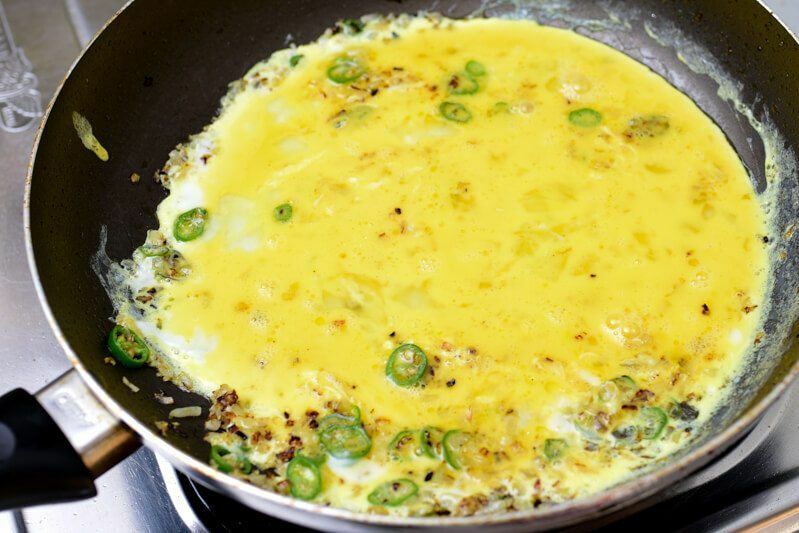 Add in the eggs, whisking them every little while in the beginning so they cook evenly without drying up too much at the bottom of the pan. 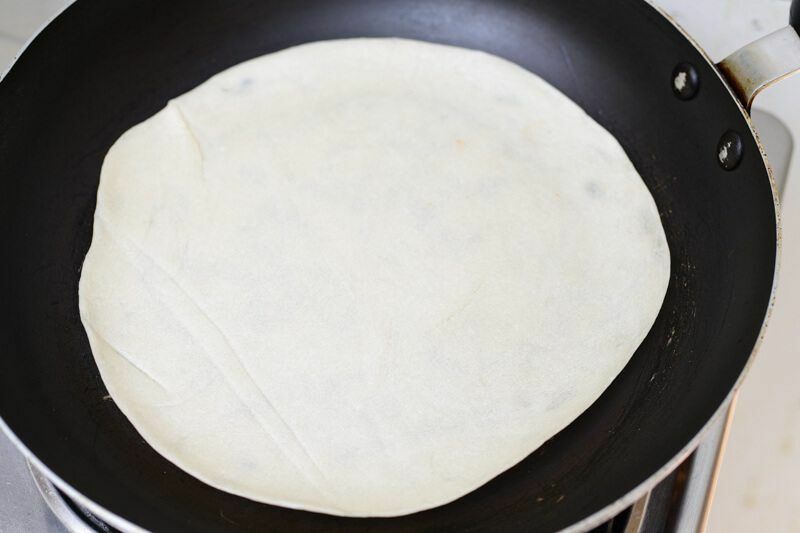 When the eggs have fully set, take them out of the pan, and begin warming up those flour tortillas a bit. Heating these tortillas will make them more pliable so they don't break later as we roll them with the stuffing for our burrito. Now the fun part – assembling these burritos. 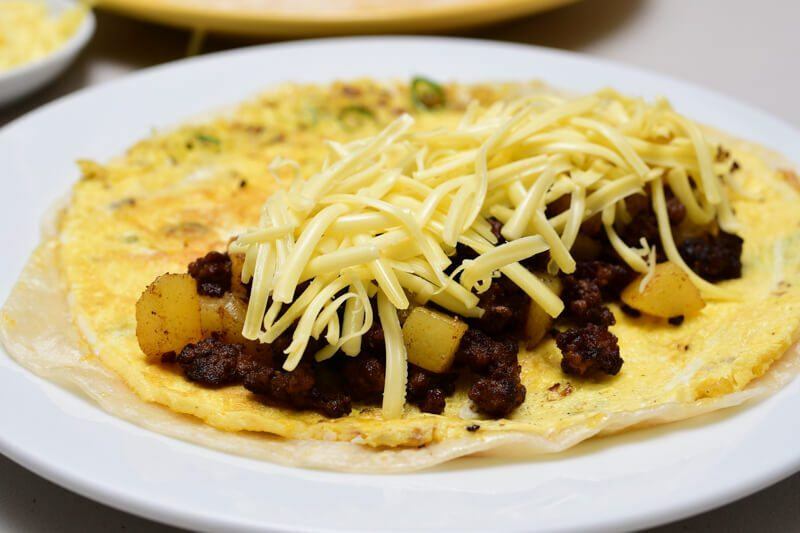 Just get everything on that tortilla – chorizo, potatoes, eggs, and some cheese. 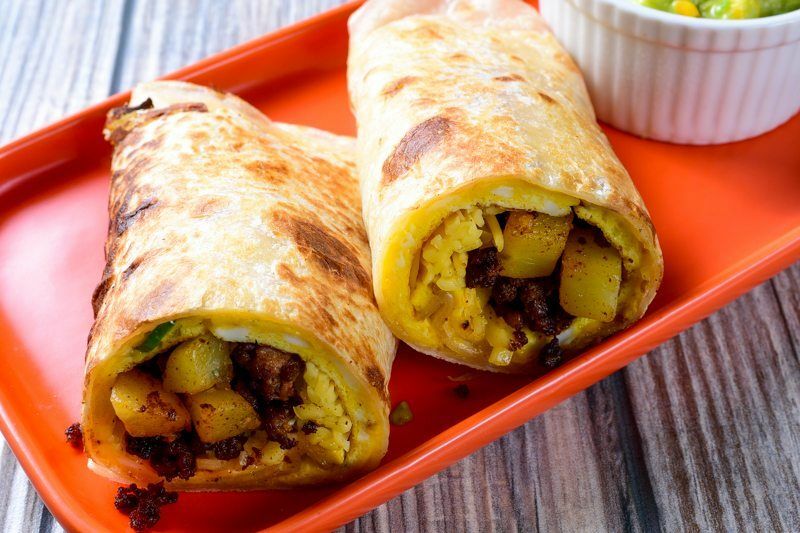 Some salsa, additional jalapeño slices, chopped cilantro, onions, or tomatoes would all make excellent additions to this bring-along breakfast. 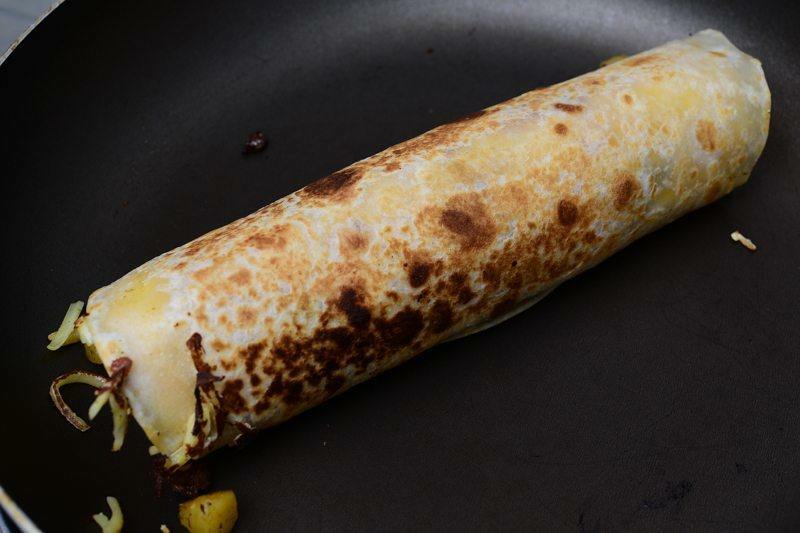 Roll the burritos perfectly snug and give them a few more seconds in a very hot skillet so the edges of the tortilla get a bit more crisp. 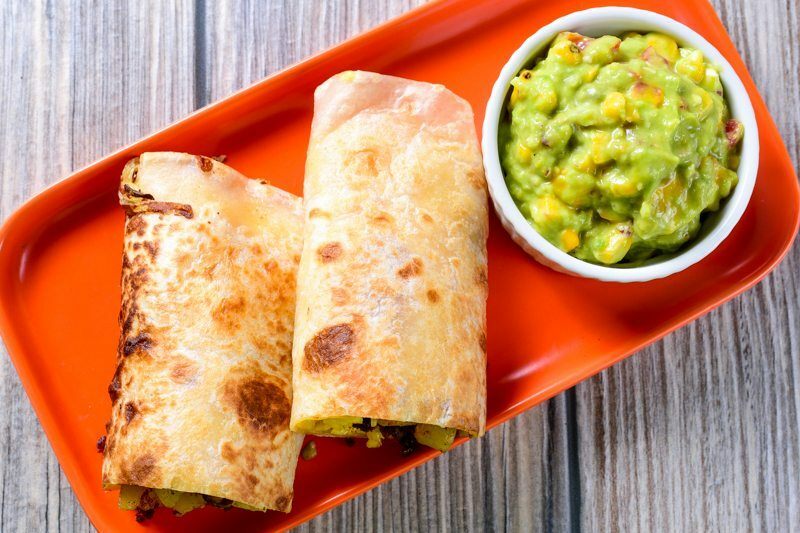 Aside from the deeper flavor that comes with those toasted spots, this will also help keep these burritos neatly rolled up.